When I discovered that 90% of Devon's Traditional Orchards have been lost since WWII and 50% of those that remain are in poor condition due to a lack of incentive to manage them or replace fallen trees(Natural England, 2011) I embarked on a mission to find & foster those that remain. What I found within the Exe Valley were small, ancient orchards in which many trees had fallen & those still standing were dying back, in desperate need of pruning, suffocated by encroaching scrub and often strangled by wire once protecting the trees when young but later forgotten. The apples in these orchards were left to rot on the ground year after year. 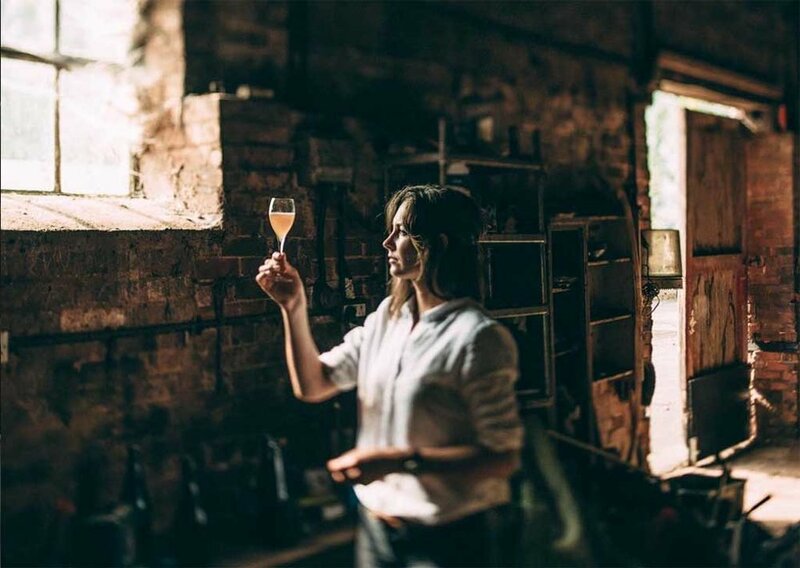 Yet they include some of the best cider apple varieties in the world (ideal for our Pet Nat), as well as unusual local dessert and cooking varieties (perfect for our fresh, sparkling Methode Traditionelle). Most of these varieties are rare or on the verge of extinction. The vast array of varieties lend diverse and unique flavours, aromas, tannins and levels of acidity to our ciders, which we carefully blend to create balanced, unique ciders of the highest quality. Our ciders are a pure expression of the apple varieties in the orchards and terroir. We add minimal or no sulphites and apply no chemicals in the orchards. Petillant Naturel (we use the keeving method to produce this semi-sparkling,apple-y & wild Pet-Nat). Learn more on the 'Ciders' and 'Methods' pages. Through courses run by the Devon charities OrchadsLive and Orchard Link I trained in all aspects of orchard management: pruning, grafting & planting. With the help of family and friends, especially my husband Mat and parents-trained horticulturalists, we work with local orchard owners to help preserve their beautiful old orchards; graft rare, local varieties from trees already in the orchards and plant them to replace dead trees, we prune to encourage growth and reduce 'windage', preventing more trees being blown over. Through staggered, late mowing of specific sites we prevent the orchards from being overrun with scrub, nettles and brambles, while leaving large areas wild to support a diversity of small mammals, birds, butterflies and other insects. EU Leader funding - provided match-funding to help the business to grow. The Prince's Trust introduced me an invaluable business mentor Jeff Lancaster. Simon Tyrrell, wine maker and cider maker, has taught both me and Mat how to apply winemaking skills to cidermaking.